One end has 2 pins to connect to a 2 pin splitter and the other end has spaded ends to connect to a low voltage transformer. Connects to our 2 pin splitter: shown here. 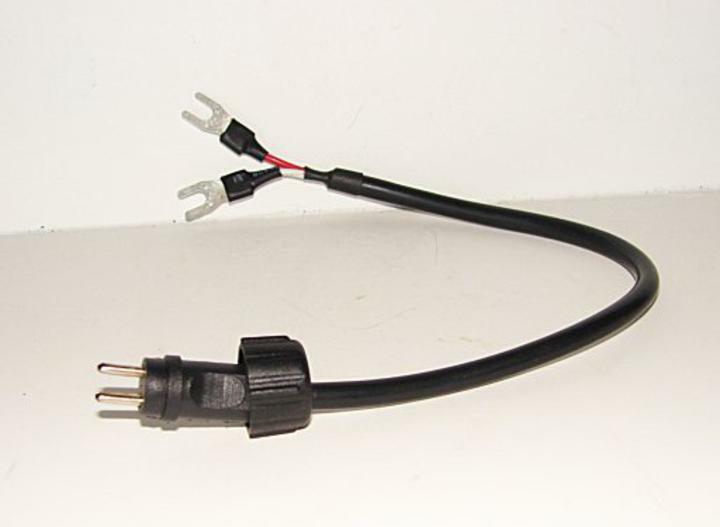 This eliminates a 2 pin connecting transformer with a 110V power cord.